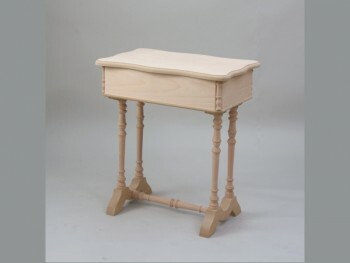 Sewing box with wavy lid, manufactured in beech wood measurements 64 x 57,5 x 37 cm. With inner tray compartments detachable. We can also varnish them. 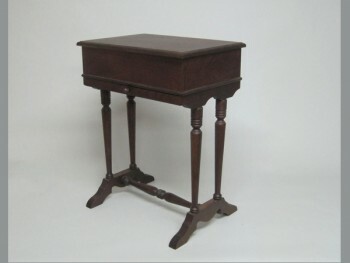 Sewing box with turned legs manufactured in beech wood measurements 63.5 x 48 x 34 cm with drawer and inner fixed compartments varnished in Walnut colour. OFFER while stocks last.